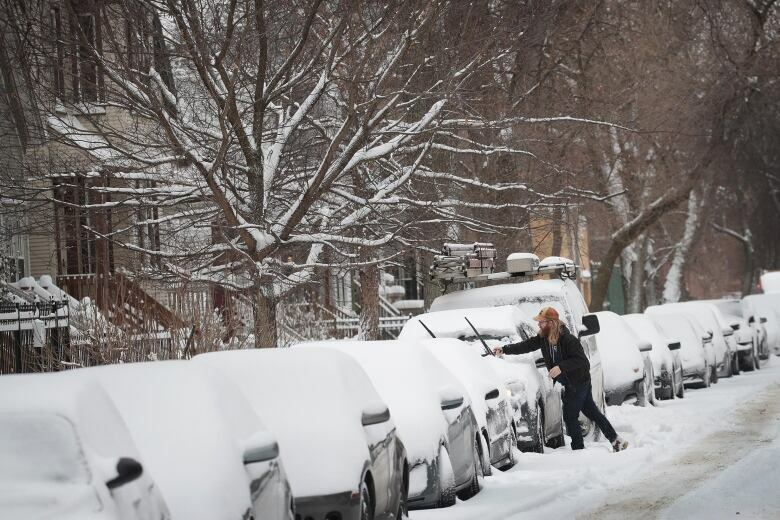 A major winter storm that blanketed most of the U.S. Midwest with snow earlier in the weekend barrelled toward New England Sunday, where it was expected to cause transportation havoc ranging from slick and clogged roads to hundreds of cancelled airline flights. Nearly 5,000 flights were cancelled Sunday around the country, with Boston Logan Airport being one of the hardest hit, according to FlightAware, a flight tracking company. The U.S. National Weather Service issued winter storm warnings or advisories for part or all of at least 15 states stretching from southeast Missouri to the northern tip of Maine. Parts of northern New England could see up to 60 centimetres of snow, which will be followed Sunday night by bitter cold and wind chills as low as –37 in parts of Vermont, Maine and New Hampshire. Parts of upstate New York got up to 28 centimetres of snow overnight, according to the Weather Channel. The same weather system is affecting eastern Canada, bringing winter storm warnings to parts of southern and eastern Ontario, parts of Quebec including Montreal, and into the Maritimes. Some New Englanders welcomed the fresh snow. Nicholas Nicolet and his six-year-old son Rocco got outside early Sunday morning to enjoy the snow in Montpelier, Vt., as they cross-country skied on the city's sidewalks during the storm. "We think it's great," said Nicolet, who said he and his son were out the door by 7 a.m. 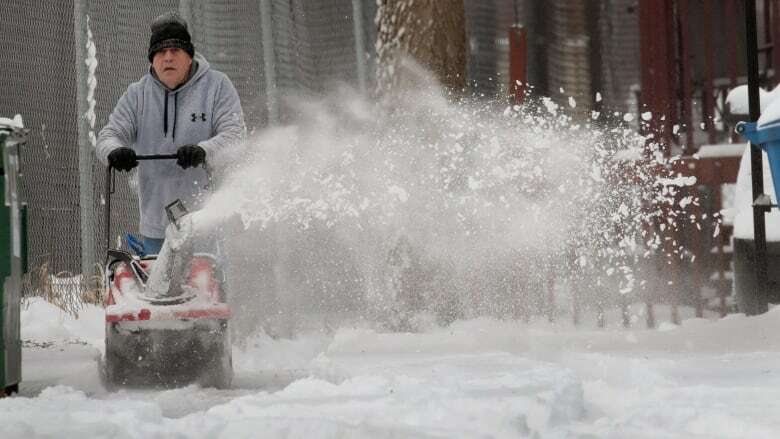 Earlier, the system dumped up to 25 centimetres of snow on parts of the Midwest Saturday. A 15-vehicle crash on slippery roads blocked a section of Interstate 55 in southeastern Missouri near Ste. Genevieve Saturday afternoon, and drivers were urged to find an alternative route. 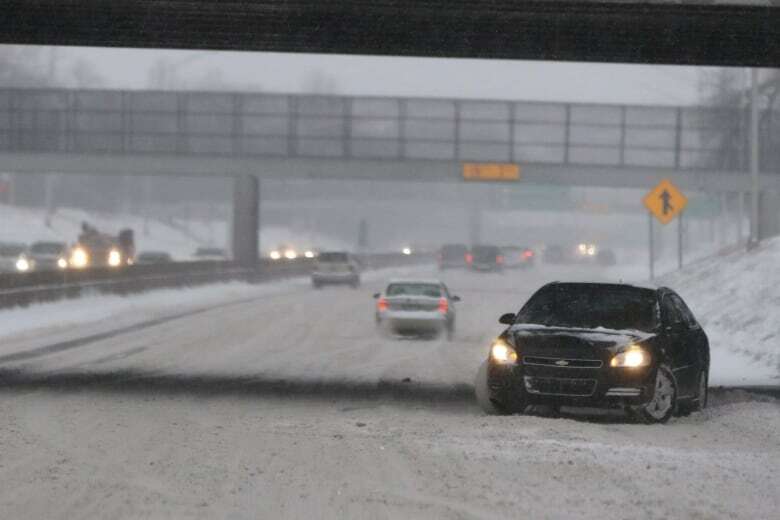 In Detroit, many motorists were moving well below posted speed limits along freeways due to slushy conditions. Amtrak cancelled some trains Saturday from Chicago to Washington and New York and between New York and Boston and Pennsylvania on Sunday. U.S. President Donald Trump remarked at how large the storm system was in a tweet early Sunday, urging Americans affected by the winter storm to "be careful." He has conflated short-term weather patterns with longer-term climate change before, even though the White House's own National Climate Assessment rejects the idea that a particular plunge in temperatures can cast uncertainty on whether Earth is warming. That report, issued in November, said climate change "is transforming where and how we live and presents growing challenges to human health and quality of life, the economy, and the natural systems that support us."